2014 Ford Edge with Airbags (front and side), 18″ wheels and Tinted windows. Price reduced! GCC spec automatic, 18 inch wheels, CD player, ABS, black interior, grey/silver exterior. 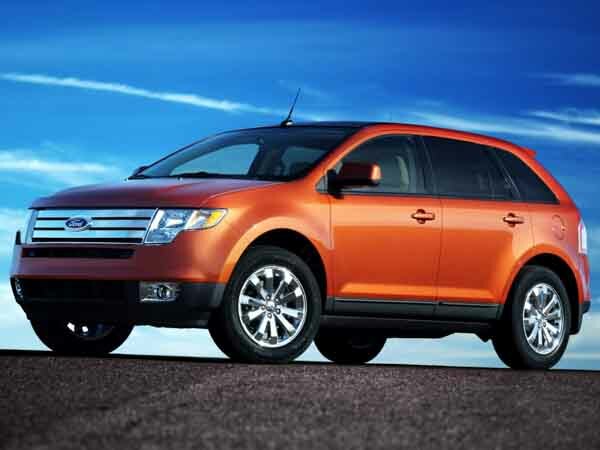 Ford Edge with many features, including air conditioning, ABS, tuner/radio. White with beige interior. Ford Edge IN PERFECT CONDITION WITH WARRANTY AND SERVICE CONTRACT ! PERFECT DEAL ! 2017 Ford Edge price AED 72,000, with CD player, ABS, tuner/radio. It has beige interior and is Grey/Silver. 2017 Ford Edge, price AED 77,000, blue SUV/Crossover, black on the inside with CD player and power windows. 18″ wheels. AED 43,500 for this GCC spec, red 6 cylinder SUV/Crossover with grey interior. It has power seats and power windows. Ford Edge SE IN EXCELLENT CONDITION WITH WARRANTY AND SERVICE CONTRACT ! AMAZING DEAL ! Automatic 2017 Ford Edge with 18 inch wheels, ABS, navigation system, black interior, gold exterior. GCC spec. 2017 Ford Edge, priced at AED 73,000, with features such as bluetooth system, rear camera, leather seats. It has black interior and is White. GCC spec. AED 76,500 for this GCC spec, black 4 cylinder SUV/Crossover with black interior. It has all wheel drive and USB. Automatic Ford Edge with 18 inch wheels, power locks, AUX audio in, black on the outside, black interior. GCC spec Ford Edge with Moonroof, 18″ wheels and Power locks. Price reduced! GCC spec Ford Edge with MP3 interface, 20″ wheels and Climate control. Price reduced! GCC spec Ford Edge, grey/silver SUV/Crossover with black interior. It features fog lights, 17 inch wheels and performance tyres. Automatic Ford Edge with 18 inch wheels, airbags (front and side), CD player, grey/silver on the outside, beige interior. 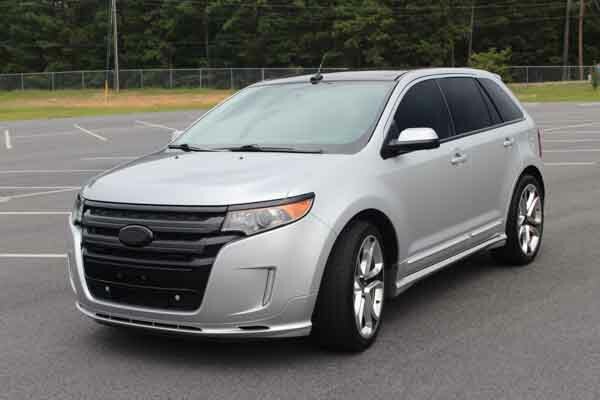 Automatic Ford Edge with 18 inch wheels, spoiler, power windows, black interior, grey/silver exterior. 2017 Ford Edge with ABS, phone set, rear camera. It has black interior and is Grey/Silver. Automatic GCC spec Ford Edge with 18 inch wheels, CD player, tuner/radio, black interior, gold exterior. 2017 Ford Edge with features such as power windows, power locks, climate control. It has beige interior and is Gold. GCC spec. GCC spec Ford with Bluetooth system, 18″ wheels and Air conditioning. Price reduced! Mike - As soon as I got my UAE license, my first car to buy was a pre owned Ford Edge Limited. At first, the price seemed high, but when I was searching for used Ford Edge for sale in Dubai, UAE, this was the best trim around. Pros: Stylish looks and interior. Kareem - Buying an import second hand Ford Edge in Dubai was very easy. Found many at a good price, but the sport edition dragged me in with its unique looks and AWD drivetrain providing lots of grip. Pros: Solid drivetrain and looks. Ibrahim - Getting an Edge on the export market proved difficult until I move here where it was simple to buy used Ford Edge for sale in Dubai, UAE. I really like these cars because of its spacious interior, fuel economy with four cylinders and interior options. Pros: Four cylinder motor gets the job done, unique look inside and out. Cons: Parts can be hard to find. Unique styling, what else can you ask for in cars. If a four cylinder motor is not to your liking, go for a V6 option in the Sport trim. Not only does it offer more power, towing capacity increases. Latest models are packed with excellent, safety and luxurious features to suit anyone's needs. 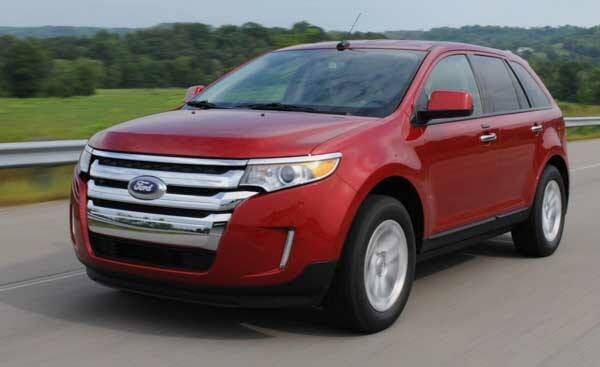 Unlike other American made vehicles, the Ford Edge has responsive and safe steering to prevent the cars from rolling incase of an accident. 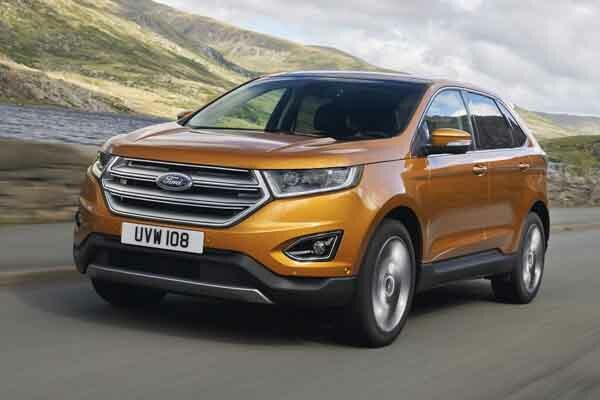 The latest generation of Ford Edge models have an automatic tailgate, meaning you don’t have to put your bags down just move your foot along the rear undercarriage and voila! As the crossover SUV market started to gain momentum, Ford needed to build a vehicle that they could stick their foot in the door. Thus the Edge was born in 2006 and has been traversing the streets ever since. With four trims available, all with unique properties, there is a little bit of everything for everyone. Road rivals: Lincoln MKX, Mazda CX-9 and the Honda Pilot. Darting into its first generation, nothing in the Ford stable looked remotely similar giving the vehicle a stand out presence as soon as the gate opened. With its visually stimulating presence, the Edge came in four trim levels all with various options and engines. SE models served as the base model with 17-inch rims on each corner, fabric seats, CD player and manual seats. SEL trims include all of that and power seats, multi-disc stereo system, multi-function steering wheel wrapped in leather and 18-inch alloys. Leather seats were part of the Limited package along with powered front seats, rear flat-fold seats, climate control, SYNC in-car technology from media player to the car stereo and 18-inch chrome covered alloy rims. Introduced in 2008, previously this trim was called SEL Plus and up until 2009 was the top trim. Sport models took the helm from 2009 onwards with leather seats, high-end sound system with SYNC functionality, large chrome exhaust tip, 20-inch rims with optional 22-inches instead. All of this features on top of options Limited models have. Two power units are available during this period: One V6 and one inline four-cylinder EcoBoost. During the first years, the V6 had a displacement of 3.5 before that was increased to 3.7-litres. Four cylinders had a movement of 2-litres and were introduced in 2011. These power units were strictly mated to a six-speed automatic gearbox. Power is either sent to the front wheels or all four of them. Safety features include dual front airbags, ABS, Traction Control, Electronic Stability Control and tire pressure monitoring system. Besides the new engines in 2011, the vehicle also received a face left compliments of a new grille mounted upfront and headlights. Inside, certain buttons were replaced by touch sensitive surfaces. All trim levels receive new features. SE models have a 4.2-inch colour display mounted in the dashboard, SEL obtained that as well as rear parking sensors and cruise control. On top of that, Limited models have an 8-inch colour display in the centre console, USB inputs, 20-inch rims, HID headlights, Blind Spot Detection Mirrors and adaptive cruise control. Sport models benefitted from a handful of those upgrades including the screens, but they also received black highlights for the rims, Charcoal leather-trimmed seats and smaller dual exhaust tips. Heading into its second generation, the mid-sized crossover SUV sported a brand new front and a more refined body. Once again, the front grille was brand new along with revised headlights, bumper and fog lamps. Trims and options all remain identical from the 2011 model onwards. Both engines and six-speed auto gearbox returned for another generation. Two new engines joined the options list; a 2.7-litre V6 EcoBoost petrol engine and a turbo diesel four cylinder engine mated to a six-speed manual gearbox. Third-row seats were once again added to the optional extras list as a navigation system, DVD rear entertainment system with screens, reverse camera, powered moonroof, button adjustable pedals, rear subwoofer connected to a six-disc CD changer and lane departure indicators on both sides.